In the villages, one church can be constructed with Rs. 40,000 (=USD 888). Such a building can seat at least 100 believers. A church (in this picture) can be built with palm leaves and bamboo that is collected by the believers in the jungle. This type of building gets damaged in the rainy season after may be 2 or 3 years. Nellupudi in Andhra Pradesh (in the south part of India) is comprised of six small villages with a population of ten thousand. To reach these villages we have to cross highly dense jungle, which is possible only in the day time. Pastor Paul and his wife faced difficulties initially to accommodate themselves here as they were leading a city life. But they were chosen for these villages, which were also under the influence of witchcraft, idol worships and even animal sacrifice were practised to appease their unknown gods. The couple faced threats from local Hindus and militants and were warned several times, but God manifested himself with signs and wonders by healing and delivering people from various sickness and problems. As a result of this many people came to Christ. 40 believers have received water baptism and came for prayer fellowship regularly here. Fifteen prayer cells have been started in these villages. This church is built with coconut tree leaves, bamboo and mud bricks. Believers went into the jungle and got all these items and made the church on their own. 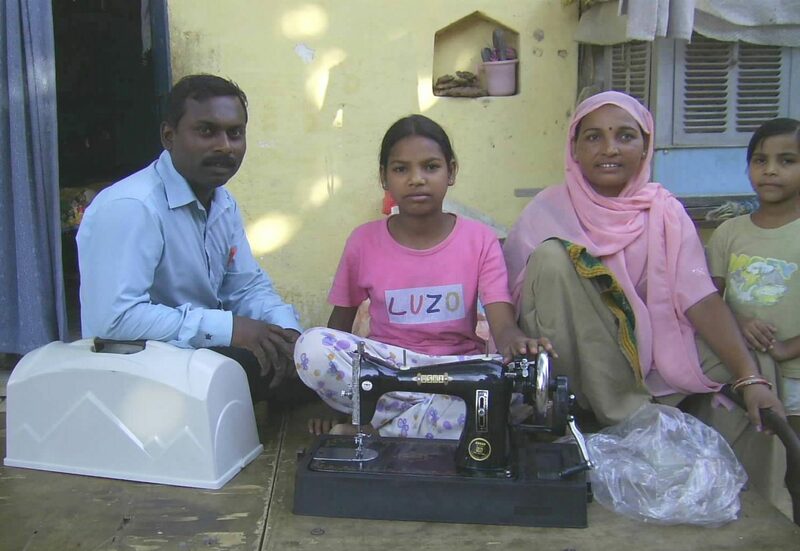 Under the leadership of Pastor Lal, five evangelists are spreading the Gospel to 38 villages. 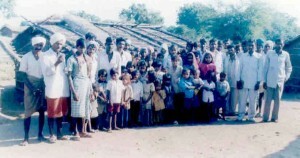 Pastor Jagan Takore works in his native tribal village. People are still in the grip of traditional ways and rituals for almost all their matters. Slowly, by the work of Christian missionaries, this village is coming out of traditional trends. Still they need a school, a hospital and electricity here. Gospel India Mission has taken the challenge to reach a number of villages to share the Gospel. Bicycles are of great help to our people to reach these villages, which do not have proper roads and other facilities. Bihar is one of the least evangelized state in India, and is called the “graveyard of missionaries”. Under the leadership of Deepak Barjo, there are six brothers working in remote villages in Bihar. A very low literacy rate, rapes, murders and human sacrifices are happening in this state. Open areas in the middle of villages are used as a worship place and also for other fellowship. During the Christmas and other celebrations, believers from nearby villages come together to have fellowship with each other. This picture shows a love feast arranged during the New Year celebrations, organized by the the local church. Here believers from nearby villages came together and enjoyed the feast and fellowship. Literacy program, helping the children for study, helping women and men for starting small scale business from their homes are some of our main works. We see people come out of the yoke of traditional worship, sacrifice and superstition in all these villages. Children start going to school. We are sure that these villages are not going to be same as before. We request your prayers for these villages. The interesting thing is that with little expenditure and time we reach hundreds of souls with the word of God. Their respect for God’s people and the sincere faith in God is really amazing. They are innocent people, but have been yoked under the devil. Now the light has reached them and a better life becomes reality. Will you be a part of this noble work as God leads you? 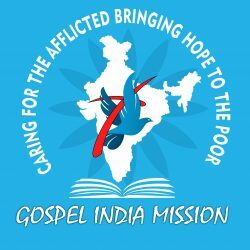 Please write to us at gospelindiamission@gmail.com!